www.EsseyLegal.com.au treats the handling of your personal information very seriously. To that end, www.EsseyLegal.com.au has systems and procedures in place to protect your privacy in relation to the handling of your personal and business information collected from this website. www.EsseyLegal.com.au abides by the National Privacy Principles, which provide a scheme in relation to the collection, disclosure, use and storage of personal information. We handle your information responsibly and provide you with control over the way information about you is handled. www.EsseyLegal.com.au does not collect personal or business information unless it is necessary for www.EsseyLegal.com.au to perform one or more of its functions and services being requested of it by the site user. At all times information given to www.EsseyLegal.com.au shall be with the full consent of the site user. Personal or business information provided to www.EsseyLegal.com.au will not be shared with any other third party without the express consent of the owner of that personal and/or business information. www.EsseyLegal.com.au requires that all personal and business information given to www.EsseyLegal.com.au by the site user for the purpose of accessing our products and services is accurate, complete and up-to-date. To assist www.PetersCounselling.com in ensuring this please contact www.EsseyLegal.com.au if any of your personal or business details change. www.EsseyLegal.com.au is committed to keeping your personal information secure, and we will take all reasonable precautions to protect your personal and business information from unauthorised access, loss, misuse or alteration. Your personal information may be stored in hard copy documents, or electronically on www.EsseyLegal.com.au software or systems. Your personal and/or business information is NOT stored on the internet. 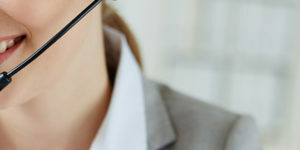 You may request access to your personal and/or your business information that you have provided www.EsseyLegal.com.au in the first instance at time of application for a www.EsseyLegal.com.au service. If you believe that your privacy may have been infringed or has been compromised in any way by www.EsseyLegal.com.au please notify us immediately. All such concerns should initially be through the contact page of this website. Any concerns about privacy or the security of your information will be personally dealt with by the Managing Director of www.EsseyLegal.com.au.